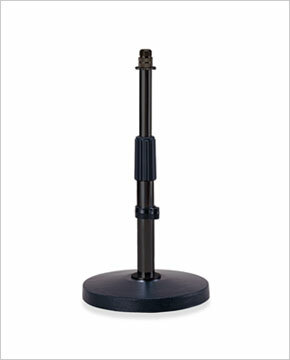 KB100M table top microphone tand is the perfect solution when you need a great, affordable mic stand for panel discussions, podcasting, and desktop voice overs! It features a solid die-cast round base for stability. Adjustable height of 230mm - 360mm. Non-slip rubber ring on the bottom of the base.